April 25, 2018, 8:33 a.m.
Metro Bank is set to release its quarterly earnings this week – which provides an opportunity to assess how perception of the challenger bank has shifted among the public. The brand’s last update was a positive one. Back in February it revealed its first ever annual profit, while deposits grew by almost half. 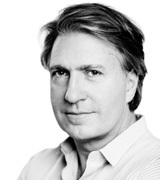 At the time chief executive Craig Donaldson said the company had enjoyed a “cracking year”. YouGov brand tracking data supports this assertion, with our figures showing the bank’s appeal is growing – especially in the capital. 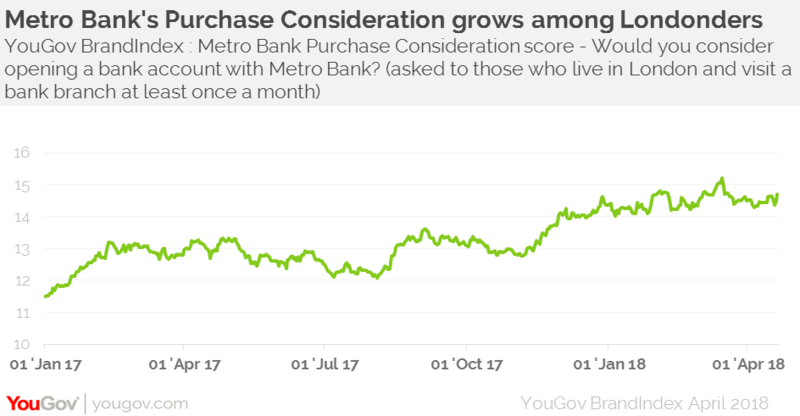 Metro Bank’s purchase consideration score (whether someone would consider opening a bank account with the brand) has grown among Londoners who visit a bank branch at least once a month. With this group, its consideration score has moved from 10 per cent to 15 per cent since January 2017. Of course, its model is underpinned by its opening hours, which differentiates the bank from more established and bigger high-street rivals, so this is a good sign. Naturally, Metro Bank still has work to do in order to boost awareness of the company with the public. However among those that do know about the brand, its impression score (whether someone has a positive impression of the brand) is competitive. It currently stands at six, which puts it at around the same mark at the Co-Operative Bank, which has a score of seven. While these are positive signs for Metro Bank, there are challenges the brand needs to overcome, not least regarding claims that it has made multi-million pound payments to a company owned by the chairman’s wife. Those looking for alternatives to traditional high-street banks may be put off joining Metro if other such stories emerge. At a time where high-street banks are closing branches citing technological innovation – Metro Bank’s upward trajectory may appear as an against-the-odds success story. However, it does suggest that there remains a desire for many customers to have physical interactions with their bank and by setting itself apart in this regard Metro Bank looks well placed to continue succeeding.